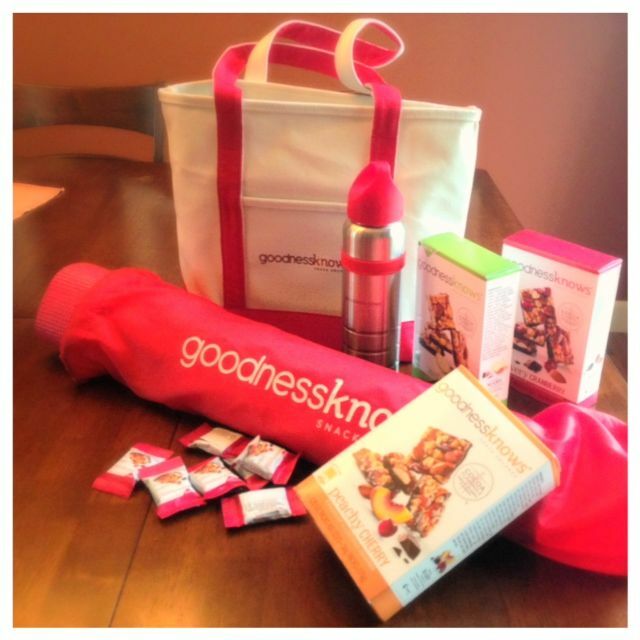 Goodnessknows has sponsored a giveaway for you, my dedicated readers. If you remember, back in March we had the opportunity to meet up with goodnessknows and hear all about their product and also meet Healthy Grocery Girl. They are determined to bring good healthy snacks to all of us. Here’s the cool thing. Instead of me telling you how great these snack bars are I am going to pick someone that will get to sample these snack bars. It doesn’t stop there. They have also included a water bottle, a yoga mat and a nice carrying bag. It ‘s all healthy and it all promotes a healthy lifestyle. I love that. But wait there’s more…I’m actually giving away 2 of these. Make sure you are Following me on Facebook, because that is where I will announce the winner. The giveaway will end Thursday, September 5, at noon. I will announce the winner later that evening. I would try ANY of those snack bar combinations, they all sound delish! There is something magical though about chocolate, nuts and apples. As for yoga, I love it when it happens, but that’s not very often. I as well think the cranberry looks the best. I have not tried yoga but would like to some day. Mostly everyone likes cranberry here, I actually prefer peaches. We’ve been so lucky to have peach farms nearby here in the Portland area, delicious! Oh, and I love yoga! I’ve been trying to get my gf to try yoga, this extra mat will be a great motivator! Very cranberry sounds very delicious and promising! Can never go wrong with dark chocolate and dried fruit. I love bikram yoga! I like the sound of the cranberry best! And I take yoga now once a week and really do like it in my workout schedule. It’s hard to pick. I definitely will try all three of those goodness bars. I’m always on the lookout for “just in case” food…food I can carry around just in case I get too busy to stop for lunch or dinner. I need something satisfying, packs a lot of calories in a small package, but doesn’t have too much sugar and does have a good amount of protein. But if I must pick just one, the cranberry. I like yoga but don’t keep up with it without a class. Goodness Knows looks delicious! I would pick cranberry. I do like yoga. I have been adding hot yoga to my workouts. Although, I have had to skip this during the summer. Cant handle the heat of hot yoga with the heat of summer. Nutty apple sounds like a unique and yummy combo. I’m with you on simply wanting to love yoga. I’d try the cranberry too! I’ve done yoga on and off over the years. Loved it for the most part but the teacher makes all the difference! The Goodness Knows bars look delicious, I am excited to try them! I think the Peachy Cherry looks best. I love almonds with cherries, and the peaches will add a nice sweet flavor to balance out the nutty and tart flavors. I love Yoga! I especially love doing Yoga when listing to music by Snatam Kaur, or Deva Premal & Miten and GuruGanesha Band who will be playing in Portland Tuesday Oct. 29. Great giveaway..I would definitely try the Cranberry…I tried yoga once, much harder than it looks.